Add a refreshing touch to your wardrobe collection by including this saree from De Marca. It flaunts a woven work that makes it look smart. The trendy color combination further enhances its overall apogeal. Made of silk jacquard fabric, it assures to keep you at ease throughout the day. 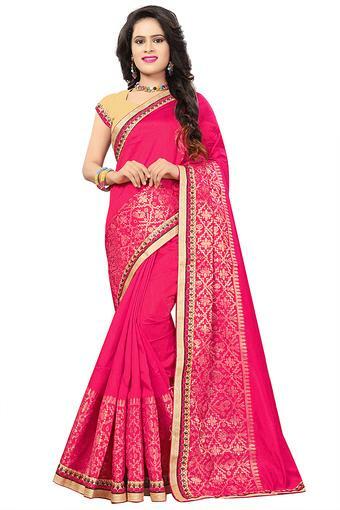 If you are in search of a new saree then check out this one. Ideal for a festive occasion, you can wear it with a pair of sandals to complete your look.